Museum patrons walk around the gemstone exhibit at The Field Museum on Sunday, Nov. 24, 2013. 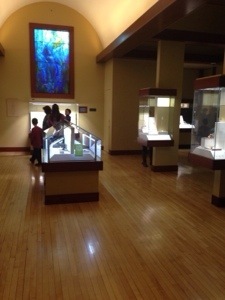 The Grainger Hall of Gems at The Field Museum in Chicago was established in 1985. 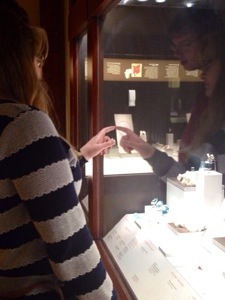 Rachel Hammer peers into a case containing different gems set in jewelry on Sunday, Nov. 24, 2013, at The Field Museum. The collection was updated in October 2009. Rachel Hammer, 22, poses in front of a display at The Field Museum in Chicago. 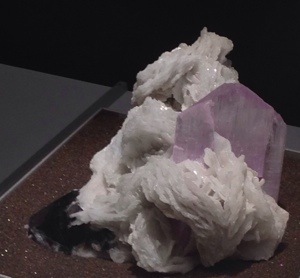 This stone, known as kunzite, is named for geologist George Frederick Kunz. The stone was found in great quantities in Southern California. The Field Museum was lively on Sunday afternoon, boasting three main exhibits in addition to museum permanent collections such as the gemstone collection and dinosaur displays. The gemstones ranged from small pearlescent opals to many-carat diamonds and topazes. While some stones remain in their natural forms, like the kunzite above, many have been fashioned into delicate jewelry. The stones in the collection come from all over the world. Oftentimes, permanent museum collections were donated by or dedicated to devoted patrons of the museum. The Hall of Gems was dedicated in honor of Juli Plant Grainger, a museum trustee and member of the Women’s Board. The non-permanent exhibits included one on the 1893 Columbian World Exposition in Chicago and one on bioluminescence, a phenomenon displayed by creatures who mainly live deep in the ocean. These exhibits will remain in the museum until their respective end dates in 2014. 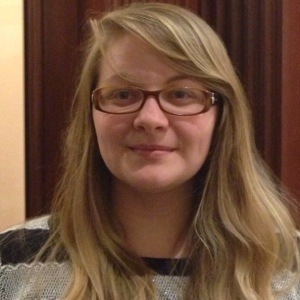 This entry was posted in Uncategorized and tagged J7802, mobile reporting. Bookmark the permalink.